Join us in wonderland! 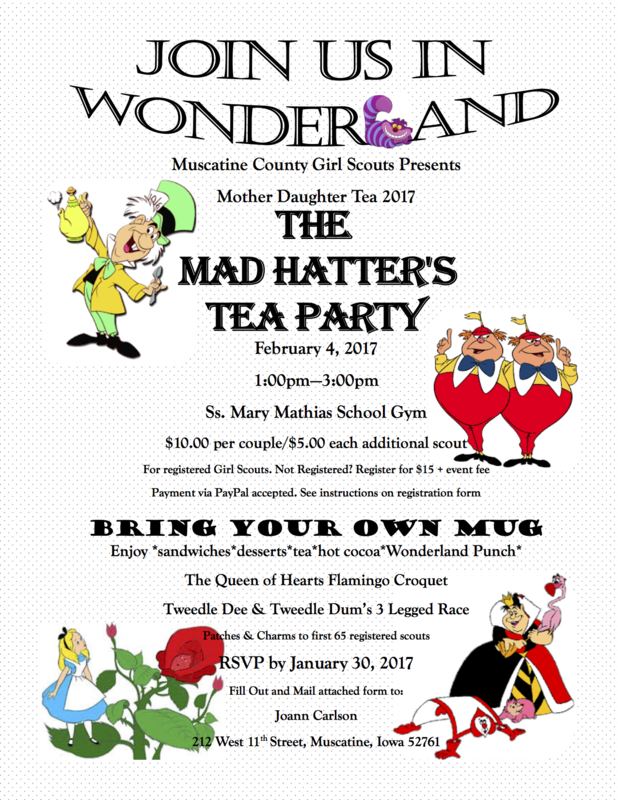 Muscatine County Girl Scouts presents Mother Daughter Tea 2017 The Mad Hatter’s Tea Party. February 4, 2017, 1-3pm.